“We’re in the endgame now.” That’s a line that’s knowingly delivered in the latter half of the superhero extravaganza Avengers: Infinity War and one that could apply to tonight’s similarly overstuffed episode of Supergirl too. For much of its runtime, “Trinity” almost feels like a season finale. The episode brings together a whole bunch of themes and plotlines that have been simmering throughout the season, and then has its extensive ensemble face off against the season’s core trio of bad guys (well, gals) in a climactic final fight. Of course, given that we’ve still got six more weeks before the actual third season finale, “Trinity” doesn’t wrap everything up in a neat bow. But it does make some major adjustments to the season’s structure. If this really is the last we see of the two Worldkillers, I’m not quite sure I understand the point of introducing them given how little impact they’ve had. And I really don’t understand the point of drawing out Pestilence’s introduction for so long only to kill her off immediately afterwards. That Mon-El, Imra, and Brainy complete their mission and save the future by defeating her almost feels like an afterthought in this episode. And while it’s surely something that will be undone and/or challenged in the next few weeks (at the very least Reign has the potential to evolve into Blight now), from an in-world perspective I’m not sure why it’s treated so casually. Ultimately, it feels like “Trinity” is trying to cram multiple episodes worth of story into one outing. The idea that the human personas of the Worldkillers get sent into an alternate dimension, and that Kara, Lena, and Alex (a “good” trinity to face off against the bad one) are somehow able to visit that alternate dimension is all pretty nonsensical. And the stage-y aesthetics of the Valley of Juru make “Trinity” feel like a cheap episode of Buffy The Vampire Slayer even before Kara dusts a demon by poking it with a stick. Plus the episode’s cool solar eclipse concept never really goes anywhere. Yet the very fact that “Trinity” rushes through so many plot points also makes me very curious to see what Supergirl has in store for its final half-dozen episodes. Because in classic Supergirl fashion, this episode pairs some questionable big picture decisions with some surprisingly great moments of nuance. The best of those nuanced moments center on Lena Luthor and her decision to secretly experiment on Sam/Reign. 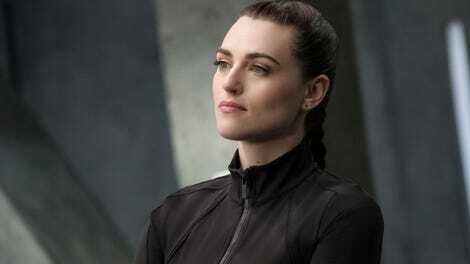 What’s great about the storyline is that it manages to raise questions about Lena’s ethics without trying to make us believe she’s going to randomly turn into a supervillain. Lena’s desire to help Sam was genuine, but Lena was raised in a family that valued autonomy and secrecy, so those are things she prioritizes as well. And she’s absolutely right that Supergirl and the DEO regularly keep secrets too. Why should they expect transparency from her when she doesn’t get any in return? Yet it also makes complete sense that Kara “stronger together” Danvers would be inherently wary of Lena’s isolationism. Especially because Kara’s personal friendship with Lena is clearly feeding into her feelings. Even though Kara hasn’t told Lena about her secret identity, she still expects Lena to treat Supergirl as a close friend and ally. In other words, Kara wants to have it both ways. But she’s also not wrong that Lena’s decision to work in secret had its downsides. It’s quite possible that the DEO (along with Brainy) might have been able to uncover more about Reign than Lena could alone. In letting both women be right from their own points of view, Supergirl creates a genuinely fascinating Lena/Kara dynamic to work with going forward. And the reveal that Lena has the ability to create Kryptonite will surely only complicate things further. If the death of Purity and Pestilence feels a bit like a retcon and/or a last minute decision, the way “Trinity” uses Lena is a welcome bit of complexity. The other place in which “Trinity” succeeds is in capturing the horror Sam experiences will trapped in the Valley of Juru. The moment she realizes she can’t remember her daughter’s name is incredibly unsettling, as is her feverish attempt to scratch details about her life into a rock so she doesn’t forget those too. Though the aesthetics of the valley—and the aesthetics of the Worldkillers in general—leave something to be desired, little moments like that prove Supergirl is still capable of telling compelling stories when it wants to. As is so often the case with Supergirl, I’m both intrigued by and slightly concerned with where the show goes from here. 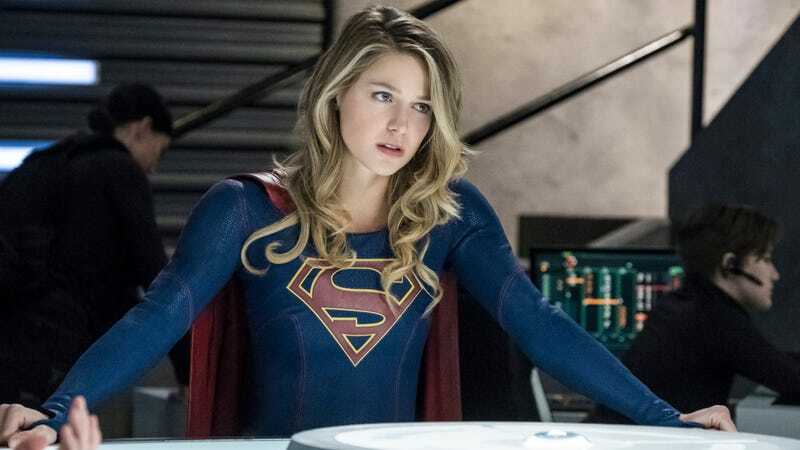 To clear the villain board so dramatically and with so much time left in the season hopefully means Supergirl still has some tricks left up its sleeve. We’re in the endgame now. Let’s hope Supergirl makes every moment count. Are there still two other Legionnaires asleep in pods on the Legion ship? The scene of Winn giving Alex her new suit was charming, but also came at a really weird place in the episode. The James/Lena relationship just isn’t working for me, but James deciding not to look in Lena’s vault (not a euphemism), was the most interesting thing he’s done in years. James and Lena chatting on their cellphones from the DEO and CatCo Balconies of Deep Thoughts, respectively, was a nice bit of staging. I’m okay with the conceit of people simply not being able to recognize Kara when she’s in her Supergirl costume, but given how casually the show has broken that conceit in the past, it feels really silly that Lena doesn’t recognize her best friend while speaking directly to her. Couldn’t Brainy have given Kara his Legion Flight Ring to compensate for her solar eclipse depowering in the final battle?